Tom de Glanville admits he has been thoroughly enjoying his time with Otley in National Two North. The versatile back is dual-registered to the Yorkshire side from Bath Rugby after moving north to attend the University of Leeds last summer. De Glanville is now part of the senior academy at Bath, but he revealed the National Leagues have allowed him to keep developing as player whilst he is away from his parent club. Asked how the step was into the fourth tier of English rugby, de Glanville said: “It has been massively helpful. You join a new environment and a new group of guys and they have welcomed me so nicely. “It is nice to be involved and be part of a team which is playing every week to win and move up the league. Everyone buys into that and I am loving my time at Otley. Charlie Maunder and Tom Casson’s side are having a very solid year in National Two North as Otley currently sit fifth in the table and 10 points behind the play-off place. The men from Cross Green take on Leicester Lions this weekend and de Glanville reveals the club do have an aim for the season in mind, but they can’t afford to look past their trip to the Midlands in Round 21. De Glanville has been able to make a handful of appearances for Otley this season and he has also represented Bath in the Premiership Shield and the Premiership 7s since the beginning of the 2018/19 campaign. His first taste of rugby for Bath United came last year against Gloucester United and the now 19-year-old didn’t disappoint as he produced an excellent display in their 15-7 win, which caught the attention of Director of Rugby Todd Blackadder. “I guess it is a product of the environment you are in,” added de Glanville. “It is nice to be given opportunities with Bath to just be allowed to go and express yourself on the pitch. That leads to more chances. De Glanville is more than aware when it comes to staying grounded. His family name is very synonymous with Bath as Tom’s father, Phil, captained the side to the league and cup double in 1996 before lifting the Heineken Cup two years later. However, despite his Dad also skippering England and gaining 38 caps for his country, de Glanville junior said there has never been any insistence on him from his family to play rugby. The decision for de Glanville to combine his playing career with degree at university highlights the individual journey he is on. After finishing his A-Levels at Beechen Cliff Sixth Form, de Glanville accepted an offer from the University of Leeds to study biology. Balancing rugby with education is becoming a more frequent option for young players because they realise that a career in the sport will not last forever. The likes of Harlequins’ Alex Dombrandt and Scotland international Sam Skinner have echoed this point in the past having both recently graduated from Cardiff Met University and the University of Exeter, respectively, and de Glanville is of a similar view. He added: “It is nice to have something on the side like university. It just stimulates the brain in a different way. “Having something outside rugby has been good. Leeds have been really good too in terms of allowing me to still train and be full-time as a professional rugby player, but also studying. England U20s men have named their Elite Performance Squad for 2019. For now, attending university for De Glanville has been put on hold as he was named in England U20s 2019 EPS squad for the Six Nations campaign which begins this weekend. De Glanville will be balancing his studies whilst on England duty and after representing the U18s last year, he is excited to take the next step within the international step-up. “I have spoken to my tutors and heads of faculty within biology at Leeds and they have been really supportive of me being with England,” said de Glanville. “They just make sure I am up-to-date with everything and balance my workload which is great! “I am really excited to get stuck in with the England boys and work hard and see where we go. I am massively looking forward to it. De Glanville is not part of the England side who will face Ireland in Cork on Friday night as the U20s look to bounce back after finishing runners-up to France in both the Six Nations and the World U20s Championships last year. 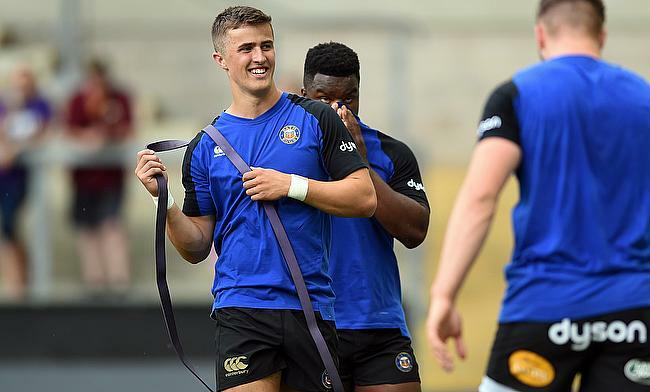 “You always want to go one better, but Steve Bates [England U20s Head Coach] has really put an emphasis on the fact that last year is now irrelevant,” concluded de Glanville. “It is about the here and now. It is a new group of boys and we are doing the best we can each week and whatever comes from that will come.